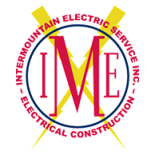 Choose Wyoming’s Power Line Experts | Intermountain Electric Service Inc.
Intermountain Electric has provided expert electrical infrastructure design and power line construction in Wyoming since 1975. Our power line contractors and engineers handle all phases of design and constructions for small projects to projects costing over $5 million. Learn more about our power line maintenance, construction, and design services below, and schedule a free consultation today. Our electrical engineers and power line experts can help you plan out the perfect electrical infrastructure for commercial, industrial, or oil field needs. Our construction division offers comprehensive power line construction services. We’ll keep you in the loop every step of the way. Intermountain Electric handles power line repair and maintenance, whether you need general upkeep or extensive repairs after a storm. Our power line technicians here to help you avoid delays and headaches. Whether you need powerline construction, power line maintenance, or electrical substation design, Intermountain Electric is happy to help. We have teams of experts in Evanston, Powell, Rock Springs, Riverton, and even Midland, Texas — so no matter where you are, we can tackle your project. Call us directly with any questions, and schedule a free consultation today.